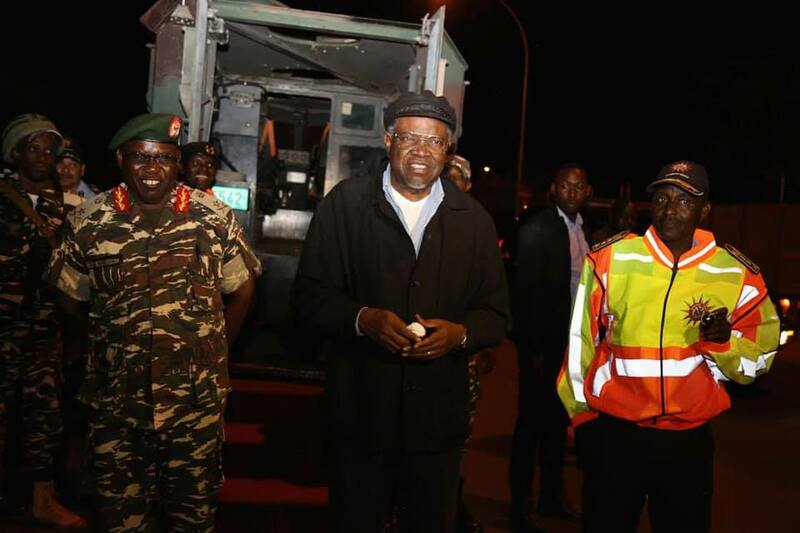 For the first time in the history of Namibia, the President of the country and current Chairman of the SADC, has accompanied members of the national security forces on an active operation to fight rampant crime. During the launch of Operation Hornkranz on Friday, President Hage Geingob, said that he would like to join members of the Namibian Police, the Namibian Defence Force, officers of the Correctional Services and the Windhoek City Police on a sojourn into the suburbs to see firsthand what law enforcement officials experience each and every day. Late on Saturday afternoon Dr. Geingob ‘reported for duty’ and soon after descended into the underbelly of the Namibian capita. The President led from the front while being escorted by senior police and NDF officers. 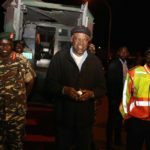 On the itinerary of the operation was the notorious Eveline Street where the President witnessed several criminal acts and how law enforcement officers executed their duties to keep the Namibian Nation safe and secure. “After launching Operation Hornkranz, I patrolled the city in an operation led by the Namibian Police Force, supported by the army. Crime has no place in our society. Namibians, visitors and tourists must feel safe and secure,” Dr. Geingob said. Operation Hornkranz is a major crime fighting initiative led by the Namibian Police Force, supported by the Army. About a week ago while meeting with the National Security Cluster the President directed that the Army should join the fight against crime. President Geingob directed that visible policing during the Festive Season and beyond should be standardized. The operation has as its objective, a safer Namibia for citizens, visitors and tourists.